What do you make of the anti-Muslim Brotherhood protests? There was so much confusion in the preceding weeks; so much tied to broader events in the nation. Yet the fact of the matter is a few thousand people demonstrated at the presidential palace. Calls for a sit-in are pending. If the turnout was somewhat weak in terms of Tahrir, it was somewhat sizeable in its own right. But the event could not live up to its billing – false or otherwise. Rumors abounded the demonstration – billed originally as a 2nd revolution – would be violent, though revolutionaries and Brothers traded accusations at who would be the instigator. Yet the day was chosen to commemorate the burning of Muslim Brotherhood headquarters in 1954, and the nation was on alert for repetition. Even so, the clamor for the awaited day of protest had waned following Morsy’s sacking of army leadership and the silencing of two anti-Brotherhood media outlets. Some analysts say a coup d’etat was in the works; when it was snuffed out behind the scenes the air went out of the protest balloon. Indeed, it is difficult to know if there is legitimacy behind it at all. The nation has chosen a president, God, but one with a very thin mandate. His moves seem to outpace his support, but is there any room to call for his dismissal? On other protest cries there may be more. The Muslim Brotherhood is still an unregistered organization, existing outside the law. Should it be dissolved, or at least regulated? But in the many manipulations of rumors surrounding the event, coupled with assurances of peacefulness and freedom to protest, what is really at stake? It may be no less than mutual attempts at de-legitimization. If so, God, please do not allow it. There are many reasons to either support or oppose the Brotherhood, and equally their opposition. But if democracy is the goal, they must do so on the basis of ideas, while accepting the other’s right of difference. But Egypt has been in the long bad habit of exaggeration and defacement, and despite the onset of democracy the situation is still very revolutionary, very unsettled. For many, too much is at stake for honest transparency. God, will you withhold your blessing from those who lack integrity? Or will you allow this sin to prevail that greater grace might abound elsewhere? The fears of many concerning the Brotherhood have a reality behind them, God. As you know the situation, give clarity and courage to confront, or else peace of mind and heart to accept. And as the Brotherhood holds power, guide and enlighten them toward good governance and promotion of liberty. Yet even if acceptance is warranted, God, develop a viable opposition in Egypt. Not that they are correct – this is for your judgment – but that they are necessary. Create a civil and institutionalized check on the authority of power. Establish alternatives away from the street. Yet within any opposition, God, hold Egyptians together in unity. Should this protest either wither or continue in strength, may the state of the nation be uplifted. Keep her on the right path. 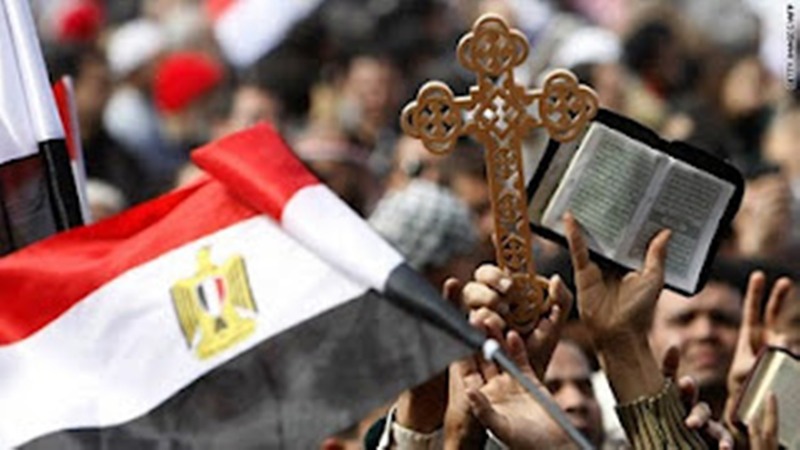 « Will Islamism Yield to Christianity?